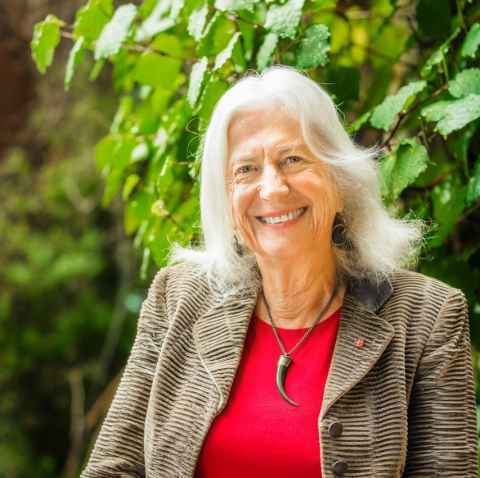 Professor Dame Anne Salmond, Māori and Pacific Studies, Faculty of Arts. In Māori cosmology, the world begins with a surge of energy, followed by the winds of life and growth, with all life forms and living systems linked by whakapapa (kinship). In Western creation myths, God created heaven and earth, the sun, moon and stars, and gave men and women dominion over the earth and all living creatures. Cutting edge scientific ideas about symbiosis and complex systems and networks work well with whakapapa and draw on Enlightenment notions of a ‘tree of life’ in which all life forms are interconnected. Work with Dr Dan Hikuroa and Professor Helen Moewaka-Barnes draws upon contemporary environmental sciences and Māori conceptions to inspire New Zealanders to care for rivers across the country, sparking a major restoration project at Longbush/Waikereru in Gisborne. Tears of Rangi: Experiments across Worlds (2017) investigates these new ways of thinking about freshwater, land and the ocean in New Zealand and the Pacific.